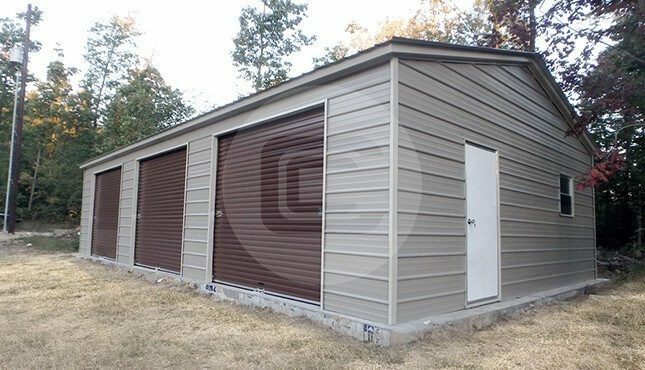 Here, we are featuring our 24’W x 40’L x 9’H three-car garage. With the help of vertical panels, this structure can withstand inclement weather such as heavy precipitation and heavy snow loads. Included with this building are three roll-up garage doors on one side, one standard walk-in door, and one standard window. For just a small deposit, this garage could be yours today, delivered AND installed for free! 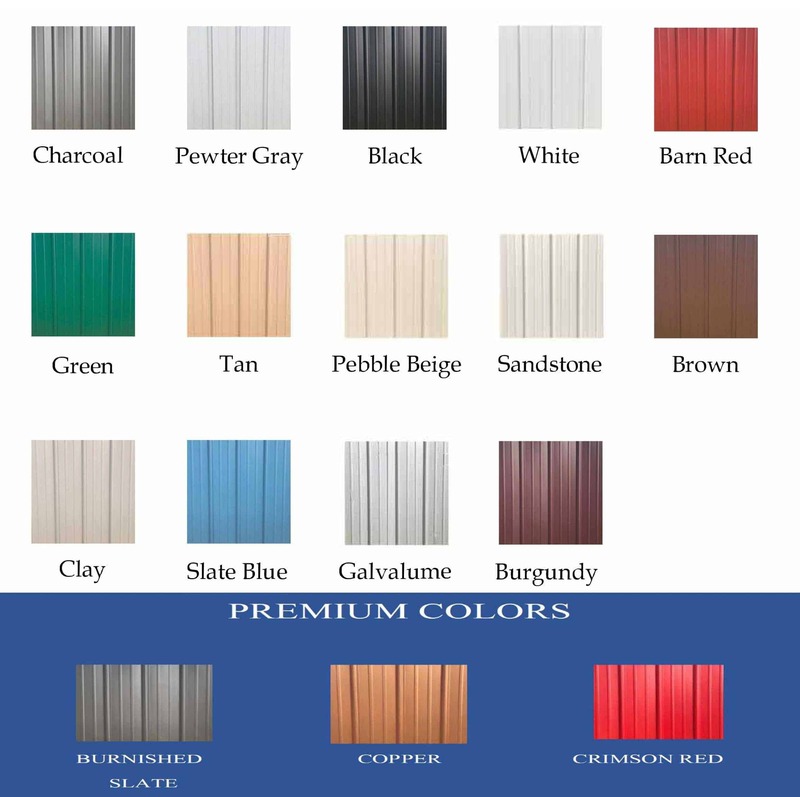 We also offer RTO and Financing programs to our customers with our color choice, free of charge. Delivery / Installation Free Delivery and Installation. Lead times vary based on installation location. CarportCentral was thorough in providing all information that I needed to prepare my somewhat complex carport site. The installation crew was patient and readily exceeded the typical time allotment in order to meet my needs.